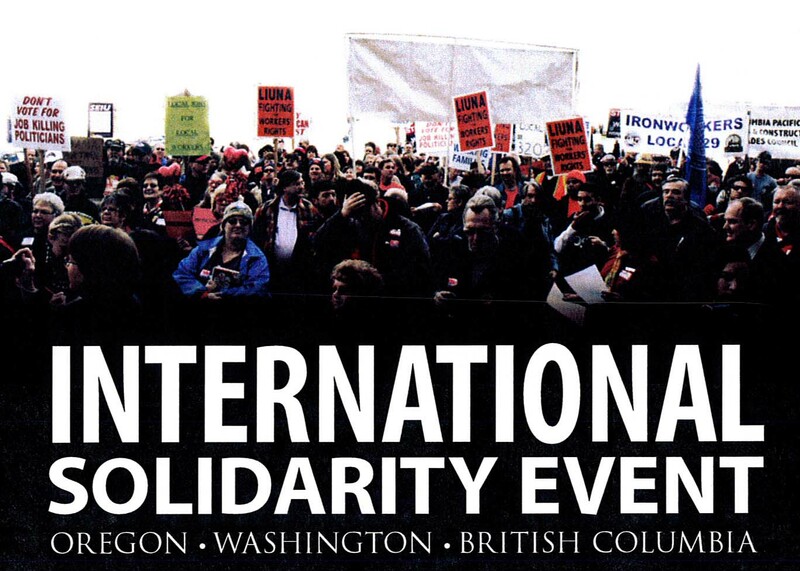 Join unions from the United States and Canada at the international border to stand in solidarity with workers who are struggling to keep their right to collectively bargain. Buses will be departing Portland at 7:00 am from ILWU Local 8, 2435 NW Front Ave, Portland. The cost is $30.00 per person, and will include breakfast and lunch. The bus will stop for dinner on the way back to Portland. This entry was posted in Uncategorized and tagged Canada, Collective bargaining, Labor rights, Solidarity, unions, United States. Bookmark the permalink.